How did the leopard get it’s spots? 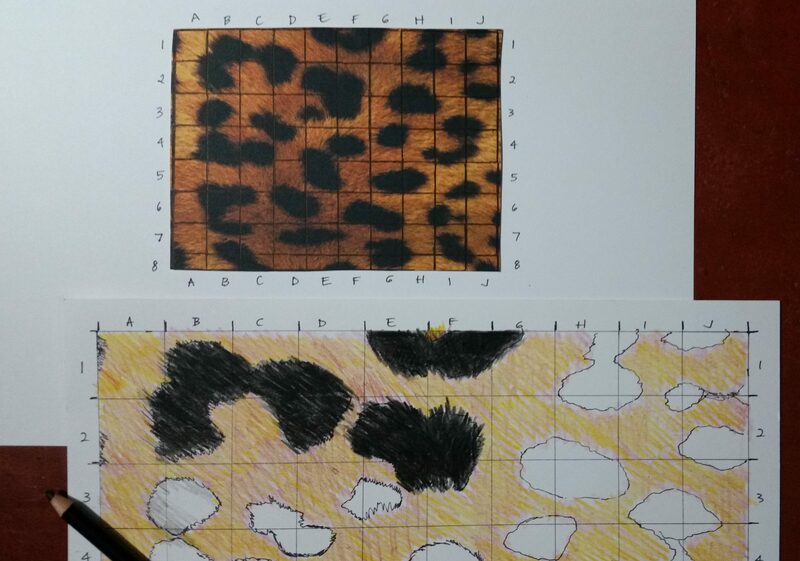 Based on Turing’s model of animal fur pattern formation, we created this spots and stripes art project. Here’s a computer model of spots and stripes formation based on Turing’s model. Here’s a variation on the model, spots and stripes with color zones, that produces not only spots and stripes but a pattern of colors as seen on the Side-Blotched Lizard (featured in one of our Beautiful Discovery Boxes). We will continue to produce art projects to accompany our game models and pattern puzzles. 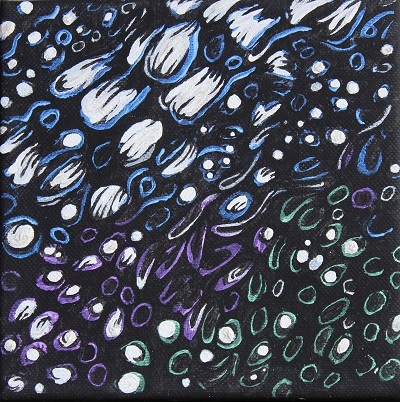 A theme we pursue both in art and modeling lessons is abstraction, simplification that captures the essence. Here is a snapshot from Kathy’s lesson on scaling, enlarging, a pattern. The general idea is to use a photo you like of any natural pattern, zoom in on a section using a grid and copy the contents, cell by cell, to a larger grid. We also study patterns from the point of view of the artist, taking a very closeup view contrasted with distant view, at different levels of abstraction. 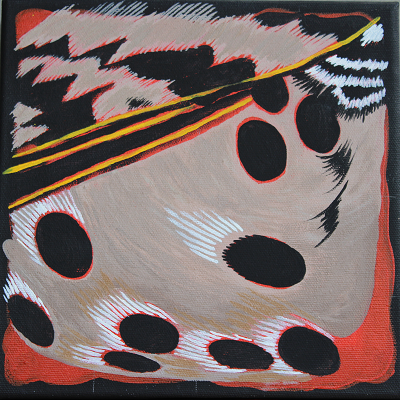 Above is Kathy’s paintings of closeup patterns on a flicker and a loon.